As the beloved originator of the Chicken Soup for the Soul® series, Jack Canfield fostered the emergence of inspirational anthologies as a genre – and watched it grow to a billion dollar market. As the driving force behind the development and delivery of more than 123 million books sold through the Chicken Soup for the Soul® franchise (and over 500 million copies in print worldwide), Jack Canfield is uniquely qualified to talk about success. Behind the empire Time Magazine called the "publishing phenomenon of the decade" is America’s leading expert in creating peak performance for entrepreneurs, corporate leaders, managers, sales professionals, corporate employees, and educators. Over the last 30 years, his compelling message, empowering energy and personable coaching style has helped hundreds of thousands of individuals achieve their dreams. Affectionately known as "America’s #1 Success Coach," Jack has studied and reported on what makes successful people different. He knows what motivates them, what drives them, and what inspires them. He brings this critical insight to countless audiences internationally—sharing his success strategies in the media, with companies, universities and professional associations. His proven formula for success reached global acclaim with his most recent National Bestseller, The Success Principles: How to Get From Where You Are to Where You Want to Be. This new standard in self-improvement contains 64 powerful principles for success utilized by top achievers from all walks of life and all areas of commerce. 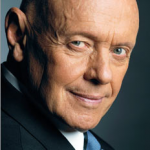 The Success Principles —and the entire empire of "Principles" books, products, coaching programs and branded retail merchandise —is Jack’s most recent offering to the more than 100 million readers he currently reaches worldwide. Jack is a multiple New York Times bestselling author. His other best-selling books — The Power of Focus, The Aladdin Factor, Dare to Win, You’ve Got to Read This Book!, and The Key to Living the Law of Attraction , — have generated millions of bookstore and Internet sales, and have launched complementary products such as audio programs, video programs, corporate training programs and syndicated columns to enthusiastic individuals and corporate buyers. His audio program, Maximum Confidence, has sold more than 350,000 copies through Nightingale-Conant alone. Jack is the founder and former CEO of Chicken Soup for the Soul® Enterprises, a billion dollar empire that encompasses licensing, merchandising and publishing activities around the globe. Jack’s nationally syndicated newspaper column is read in 150 papers worldwide, and the Chicken Soup for the Soul® radio shows are syndicated throughout North America. Chicken Soup for the Soul® has also been a featured television program on both the PAX and ABC networks. Jack’s background includes a BA from Harvard University, a Masters degree in Psychological Education from the University of Massachusetts, and Honorary Doctorates from the University of Santa Monica, Parker College of Chiropractic and St. Ambrose University. Over the past 30 years, he has been a psychotherapist, an educational consultant, trainer and a leading authority in the areas of self-esteem and peak performance. Jack Canfield holds the Guinness Book World Record for having seven books simultaneously on the New York Times Bestseller List. He also holds the Guinness Book World Record for the largest book-signing ever for Chicken Soup for the Kid’s Soul. And he’s the only author to have won both the ABBY (American Booksellers Book of the Year) Award and the Southern California Book Publicist Award in the same year — honoring him as both an outstanding writer and a consummate book marketer. Jack has also been a featured guest on more than 1,000 radio and television programs in nearly every major market worldwide – many of them on a repeat basis. A sample of these shows includes Oprah, Montel, Larry King Live, 20/20, Inside Edition, The Today Show, Fox and Friends, The CBS Evening News, The NBC Nightly News, Eye to Eye, CNN’s Talk Back Live!, PBS, QVC, and many others. Jack is a featured teacher in the movie “The Secret”, “The Opus”, “The Cure”, "The Tapping Solution”, and “Yes IS the Destination…No is How You Get There.” He has recently been filmed for inclusion in two more films entitled “Discover the Gift” and “Awakening.” His Dream Big Collection infomercial has also been seen on television stations across the United States and Canada. 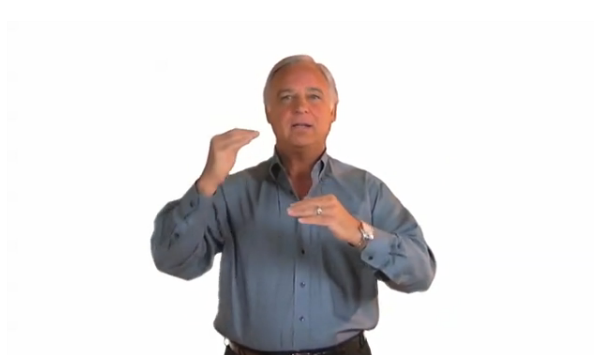 He also posts instructional videos regularly on the official Jack Canfield YouTube Channel. Jack is the founder of the Transformational Leadership Council, an international professional organization for owners of transformational training and coaching companies and thought leaders in the field of personal and organizational training. He has conducted more than 2500 training groups, workshops, and seminars and has consulted with and spoken to more than 500 school systems, universities, corporations, hospitals, professional associations, and mental health organizations in 32 countries around the globe. He has been inducted into the National Speakers Associationʻs Speakers Hall of Fame, is a recipient of the Rotary Clubʻs Paul Harris Fellowship, is a recipient of the Golden Plate Award from the National Achievement Summit, and received the Chancellor’s Medal from the University of Massachusetts. He has also been named Motivator of the Year by the Business Digest twice, received the Speaker of the Year Award from the Society of Success and Leadership and received the National Leadership Award and the Champion’s Award from the National Association for Self Esteem.